Please visit the UMass Extension Fruit Advisor's BMSB Identification Page  for more information and photos. The MA Dept of Ag Resources is interested in collecting early-season detections of BMSB. 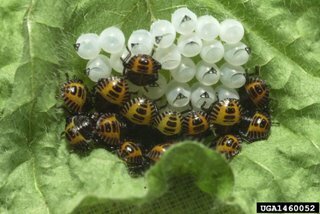 If you suspect you have found BMSP, please submit a report to Massachusetts Introduced Pests Outreach Project at massnrc.org/pests/report.aspx . The UMass Extension Vegetable & Fruit Programs have traps up at a number of farms across the state and will report any significant captures. For current information on production methods (including varieties, spacing, seeding, and fertility), weed, disease, and insect management, please visit the New England Vegetable Management Guide  website. 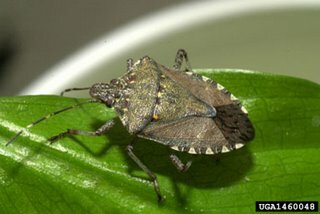 More specific reccomendations for this invasive pest can be found at the UMass Extension Fruit Advisor's website .